Parish Assembly - Weds 17th April Everyone welcome to come along for wine and nibbles and a general chit chat about things in the village. Bride Valley News (BVN) is the magazine of the Bride Valley Churches but contains a wide variety of information on news & events in villages around the valley, including of course Shipton Gorge! All Village Society events will be advertised/confirmed in the Bride Valley News the month prior to the scheduled date. 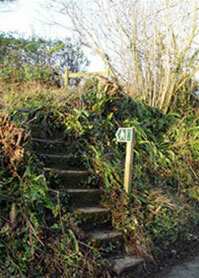 Shipton Gorge is three miles east of Bridport, twelve miles west of Dorchester and two miles from the Jurassic coast at Burton Bradstock. 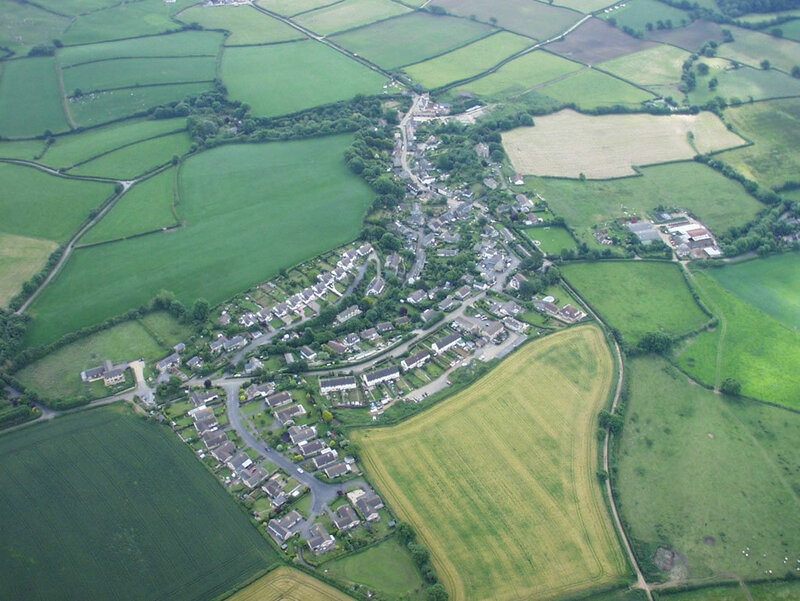 The village of Shipton Gorge has its first reference in the Domesday Book of 1086 and is very much a working village with seven working farms still in the parish. There are some 210 dwellings with over 400 inhabitants, many of whom have moved to the area to retire, but the village still has a fairly high proportion of working families and children. The houses are a mixture of old houses built of local stone, modern houses and bungalows. There is no "gorge" in Shipton Gorge but it is an interesting and pretty village with high banked lanes, lovely houses and a community spirit. There are a number of thatched properties as well as listed buildings, one site of special scientific interest, two small woods and a network of public footpaths and bridleways to be explored. 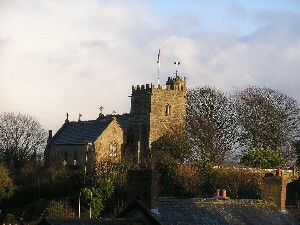 One of the dominant features of the village is the church of St Martin which sits on a hill overlooking the main street with glorious views across the countryside. It has an early 15th century tower, a 13th century font and the exterior is floodlit for much of the year making it an important feature of the village both day and night. 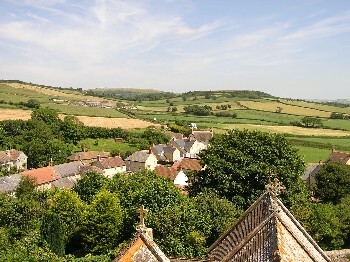 and its amenities on this web site and we hope that you will come and visit us - we are a typical West Dorset village and very proud to be so! To use this aerial view of Shipton Gorge as desktop wallpaper for your computer, right mouse click on the image and choose 'Set as Desktop Background'. Please note this image is provided for personal use only.